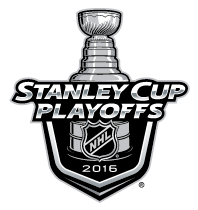 The NHL is now down to their final four, if you will, as two clubs remain in each conference. One of these teams will end up hoisting the Stanley Cup next month but only two will survive this round. Which teams will they be? Here are my predictions. The Lightning may have had the easier go of it in the Conference Semifinals, but they were also facing an inferior team (Islanders) to the team the Penguins were playing (Capitals). With how good young Matt Murray has been in goal, I don't see how a Tampa Bay team with less depth is good enough to pull the upset. Both teams had to fight very hard to get to this point as they each had their series go the full seven games against Nashville and Dallas, respectively. Also, these two teams play contrasting styles but they're both deep and relatively well-coached. For me, the difference is in net as I just have more confidence in Brian Elliott than I do Martin Jones.